The National Portrait Gallery in London is celebrating one of the world’s greatest stars in their current exhibition, Marilyn Monroe: A British Love Affair. A: Love your very own Marilyn! 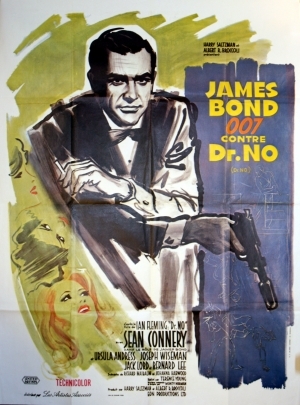 Follow @AntikBar on Twitter and Pinterest for our Poster of the Day tweets/pins and other updates. You can also “like” AntikBar on our new Facebook page for more updates and news. Upcoming Event: AntikBar will be at Stand B69 at the Spirit of Christmas Fair (Olympia, London) from Tuesday 30th October to Sunday 4th November. Visit the News & Events page on the AntikBar website for more information on this festive event. AntikBar will again be participating at the Spirit of Christmas Fair at Stand B69 in The Grand Hall at the Olympia Exhibition Centre, London, from Tuesday 30th October to Sunday 4th November. This festive event is sure to get you in the mood for Christmas and the New Year offering a wide selection of unique gifts that can’t be found on the high street, as well as food and drink, winter decorations and other special treats! AntikBar is a London-based online company that specialises in original vintage posters and graphic design. They stock a vast range of posters covering all subjects (travel, sport, advertising, cinema, war and propaganda) from across the decades and around the world. Original vintage posters make a unique eco-friendly interior design feature, bridging both contemporary and traditional styles, and they are highly collectable, being widely recognised as a sound art investment. The variety offered by AntikBar is very appealing and, with prices starting from under £50, these posters are also affordable and can bring future financial pleasure, whether bought as a statement piece for the home or as a more unusual and memorable gift for Christmas, a birthday or other special occasion. Please visit our website at www.antikbar.co.uk and contact us if you have any queries or particular search requests. AntikBar.co.uk is on Facebook and you can follow @AntikBar on Twitter and Pinterest for our popular “Poster of the Day” tweets/pins and other information. We look forward to seeing you at the Spirit of Christmas Fair, Stand B69. AntikBar now has a new page on Facebook, which you can visit and “like” at www.facebook.com/antikbar.co.uk. You can also browse the website at www.antikbar.co.uk and follow @AntikBar on Twitter and Pinterest for “Poster of the Day” tweets/pins and other news, images, information and inspiration! AntikBar will be participating at the Spirit of Christmas Fair, Olympia, from 30th October to 4th November. Further information on this festive event has been posted on the News & Events page. We look forward to seeing you there! “In the quest to perfect our children’s rooms we often overlook the very thing which brings a room to life: namely a vibrant work of art. Instead, having deliberated over cots, tussled with flat-pack storage and pondered paint hues we leave the art until last, often making do with a worthless high-street print, or worse, a blank wall. Happily you don’t need a trust fund to buy decent pictures: a handmade print by a rising artist, for instance can be yours for under £100. And the purchasing possibilities are endless. One friend buys images of horses for his pony-mad daughter; another focuses on vinatge superhero posters: whatever your child’s interest you will it in print or on canvas. Browse the AntikBar website for more inspiration and follow @AntikBar on Twitter and Pinterest for our “Poster of the Day” tweets/pins. Visit also the News & Events page for more information and contact us for collections advice, search on demand requests and to book a viewing by appointment. Next Event: AntikBar will be at the Spirit of Christmas Fair, Olympia, from 30th October to 4th November. Further information on this festive event is given on the News & Events page.